Today, I was given the day off, due to being summoned for Jury Duty and then told I was not needed. Of course, instead of taking advantage of the unstructured time and doing something rewarding for myself, I cleaned house and got caught up on paperwork and became ensnared in computer conundrums. And then I stopped, took a deep breath and I gave myself a long walk on the mountain. Ah yes! I needed to do something different, to walk rather than stay stuck in a tight place where I was drowning in a stew of frustration. Long walks, or even just a little wiggle room, can always clear my heart and mind and inspire creativity. While I walked I thought about giving and more specifically about generosity. This is the time of year for giving! But what does that mean? Isn’t giving part of what we do all year round as parents?! And how do we inspire giving, or rather, generosity and gratitude in the hearts and minds of our children, especially at this time of year? As I walked, I thought about all the adoptive parents who come to the parents group I co-facilitate at Seneca Center and how much each adoptive parent gives of themselves night and day, to grow up their children. I thought about the benefit of being in a community and how we can be there for each other without expecting something in return. I truly believe that what comes around goes around in full circle. Generosity begets generosity. When I give food to the homeless, cook soup for a sick friend, or take time to truly listen to my daughter even though I am busy doing something else, it all comes back full fold sometime in the future. I saw this in action when I attended the Marin Foster Parent Association Holiday party. Each year many parents volunteer to create a beautiful festive occasion for the children and then together clean up and go home to put their children to bed. Generosity is seeing and doing what is needed in the moment. As a parent, it seems that generosity can involve being selfless at times and at other times it involves setting limits for yourself and your child. This is not easy to do, especially for foster/adopt parents who for the most part, take the task of parenting extremely seriously and have high expectations of themselves to do the right thing. As I walked on the mountain I thought of how the tight places in my heart and mind can easily become spacious if I have the courage to do something different for myself and ultimately it benefits my daughter. I thought about all the times I have been the recipient of generosity from others. I thought of how practicing generosity has been like a medicine for me - a balm for releasing ill feeling, changing tight thoughts and letting in the light to tight old places. Since my walk I have been more aware of the tight places in myself and I have made a conscious effort to seek out opportunities to practice generosity and good will. As in the Christmas Carol story by Dickens, the antidote to mean-spirited feelings and tightness is opening to generosity and gratitude in life. Happy Holidays to all! 1. Know how your child manages stress and what helps sooth and calm emotional distress. Initially, under stress your child knows nothing else but to react. By understanding and demonstrating how you manage stress, in healthy ways, you can resist being pulled into the reactivity of the child. The reactivity needs to be interrupted as early on, as possible, so that it does not become chronic. Know when you need help. 3. During the adjustment period, find opportunities to encourage your child to use, curiosity, wonder and exploration to learn something new about themselves and the world. It is the un-metabolized experience of early loss and trauma that can make a child vulnerable to learning challenges. The bottom line is that we do not engage in healthy curiosity, and exploration and learn something new when we are under stress and feel insecure; uncertain and afraid. 4. When you are officially the adoptive parent you are finally in charge. What do you want to do as regards contact with the biological family and siblings etc? 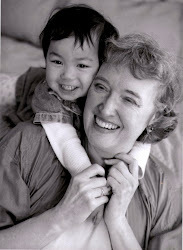 Most Adoption Professionals believe that Open Adoption is more beneficial to the adopted child. However, It is important for you to think about what Open Adoption means to you considering the circumstances of the Birth parents and family and your adopted child. It is now your responsibility to clearly assess what is the right amount of contact for your child? if any? Open or closed adoption? Have you been able to sort through your own feelings about the Birth parents and family? It is very useful to take the time to talk to a Professional therapist to clarify how you feel and what are your options and your limitations when considering the Adoption, Birth parents and family. 5. As you get to know your child, the cycle of the ‘survival mode’ acting out behavior and pushing away of the adult caregiver needs to be interrupted. Connect before you correct. Structure, empathy and follow through. Initially, any change or transition (even from one activity to another without due warning) will often activate the ‘survival’ behaviors in a child, which often means a dependence on themselves and what they know about surviving. Of course, not every loss experienced during the day is a situation of physical or psychological survival, but the brain and nervous system of many foster children does not recognize this fact. Unfortunately, their behaviors are often purposefully, alienating and challenging and confusing to deal with for a caregiver. Also, the more often the behavior is activated in the child the more the nervous system will register the need for the habitual negative reaction. The cycle of the survival mode acting out behavior and pushing away of the adult needs to be interrupted as often as possible. From Foster to Adopt: 5 Action Steps towards a Successful Adoption. 1. If the child you are adopting has already been in foster care in your home then research has proven these adoptions are the most successful. 2. Emotional investment: The child you are adopting often comes from a prior home environment that has caused the child to have an insecure attachment. (due to situations of loss, neglect, abuse and trauma) and so it is important for the adopting parent to understand that she/he has become the most important person for positively or negatively influencing the on-going developing brain and nervous system of the child. The earlier the age of the child when being adopted, the more opportunity there is to interrupt insecure attachment patterns. It is a big plus for the child, if the adopting parent has made friends with the excellent, the good, the bad and the ugly parts of himself or herself. All will be revealed in this relationship, in a way that you, the parent, have never experienced before! 3. Don’t take it personally! When the child is reacting to you or a stressful situation. 4. Know how to hold on to yourself and hold on to your child during the excitable times and the stressful times. 5. Be kind and empathic and understanding at your best and when you are not able to be at your best set firm limits for yourself and your child. Know how you manage stress. Take a break when you need one ( sometimes it takes just a pause of 10 breaths) and don’t wait for the ‘right time’ as your nervous system is saying the right time is NOW. Learning to live with Loss, big and small, is an every day occurance for any child. Just think of the tantrum of a 2 year old as he begins to learn about parental guidance and the word 'No'. Hopefully, coping with loss is one of the many essential life lessons, along with play and exploration that your child will learn. For a child who has been in fostercare, small every day losses can feel like big losses. Every day changes, separations and transitions can feel monumental. Sometimes I have worked with children who have been in 5 placements before the age of six before landing in their adoptive home. It is this unmetabolized experience of early loss and trauma that can make a child vulnerable to learning challenges. The bottom line is that we do not engage in healthy curiosity, and exploration and learn something new when we feel insecure; uncertain and afraid. So as a parent, how can you help your foster-adopt child differentiate between the small and big losses in life and encourage a sense of curiosity and play? How can you help the child begin to manage the adjustment to a new home and not have it overwhelm the child and every body in the family? How can you help the child feel more secure and less afraid? If we take the situation of concurrent planning and the constant adjusting to visits to see birth parents and then back to the foster home then we are talking about big feelings and big losses for the child, that will need to be managed by the foster-adopt parent. This is not an easy task for either the child or the parent as the foster-adopt home is often a recent home for the child and not yet a secure place to be and the reminder of the loss of the birth parents and siblings can be immense after each visit. It is, emotionally, like going through the rapids on a raft that is breaking up. How the child got there in the first place is not clear. Where they are going to end up is not clear. And worst of all the adults involved can not give answers that make sense to a child. So, what does make sense at these times? How can you help the child negotiate the rapids? Here is a list of things that I have found may help, and I know that each child is unique in what works. What is important to know is that the child needs somewhere to land (physically and emotionally). He needs reassurance in the present moment, as the future is uncertain and you, the foster-adopt parent, can not guarantee. the outcome of placement yet, even though you may want to do so. Present time, feel good, familiar sensory input will be more helpful than talking through the confusion and big feelings at these times. This will give some of the sense of security and safety needed at these times to be with the big feelings and confusion. There will be time for making sense of the situation later. It is best if you, the foster-adopt parent can be a calm and neutral presence as much as you can be at these times. Empathic responses are more helpful than joining in a story line with the child. Stay open to listening to the child when driving places. Make time to relax or run off the excess emotional energy. Stay strong in what you know about yourself; your parenting style and your own ability to manage and survive loss. As an adopting parent my suggestion is to get informed during the wait period! As your physical and emotional energy is precious at the moment and will be even more so when your baby arrives - Put down those books about adoption that are adding to your anxiety and focus your energy on specific information that can empower you. Here are some of the important Topics to consider and questions to ask yourself as a pre-adopt parent. · How did you come to chose adoption? Normalizing and exploring your excitement and anxiety is important. What are your fantasies and fears about who is coming? Get in touch with the true positive and joyous intention for bringing a baby into your life. · Preparation for becoming parents: How are you creating physical and emotional space for your child in your daily life: as an individual and as a family unit. · Gaining some understanding of your strengths and skills as a parent are as important as understanding your parent traps and triggers. Make a list of both. How do you problem solve? How do you make decisions? How do you manage crisis? These are all important truths to know about yourself, that will prepare you for becoming a parent. · As a couple (and individual) it is good to begin strong as a parent. Begin to practice and talk about and make parenting choices/decisions (together) before the baby arrives (the paperwork and making appointments during the process of adopting is an arena of great practice) ie. When your baby comes home will the baby be in a separate room sleeping or in your bedroom? How are you sharing the parenting responsibilities? · Get your community Support on board. How are you preparing the community for your adopted child. a) Extended family first. b) Who else? c) How will you introduce your adoption? What are your chosen limits on privacy? · Baby care information/(take an infant CPR class). What do you need? Childcare: Initially, keep in mind bonding time with you, the parent, when considering childcare. It is useful to find someone who has some understanding of adoption, and is consistent, who can care for your baby when you are unable to do so due to going back to work. Try to take extended time off work to bond with your baby. An optimum amount is 3 months. · Information about the New born brain and development. Even though it will cause some anxiety get some clear information about how drugs and alcohol impact the brain. Any lasting impact is unknown until the baby is older if your child has been exposed. However, becoming informed allows you to ask informed questions of your pediatrician when you have concerns. · Open adoption What is it? (if that is what you are chosing) – Gain information so that you can discover what it means to you and your child? Begin to write down what it means to you. Become informed about adoption! This is an additional responsibility for adopting parents so you can advocate for your child,when many of life's situations calls for your support and guidance. Gain some understanding of the 7 core issues of adoption and their influences on individual and family development and times of transition. And lastly, spend time with a baby while you are waiting!